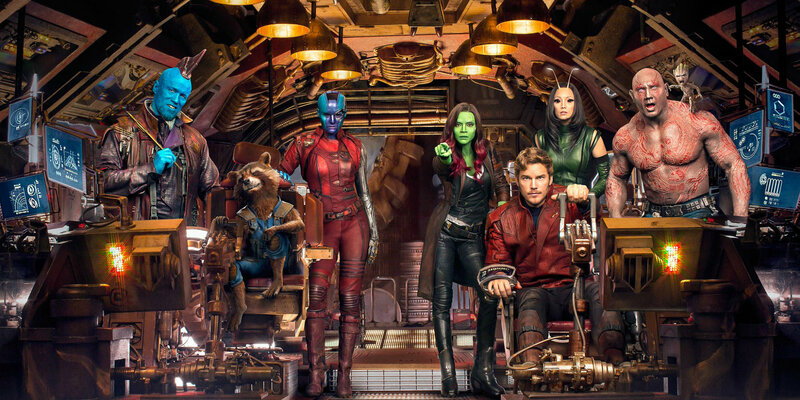 Vol.2 starts where Star Lord and the crew left off and gives more back story with each character all throughout the film. When Kurt Russell who plays a human form of Ego is quickly introduced, the story begins to go in high gear with the central theme of family and friendship starts to take shape. Without going into further details, we begin to see how all the Guardians including other returning characters such as Yondu and Nebula are all interconnected. Down the lines we are also introduced to new characters such as Mantis to help bridge the connection between Ego and then Guardians. Although this film tries to hold a central theme, the film is not without certain flaws. Especially with a film of many different characters, you will also have branches of subplots on screen. When cutting back and forth between different characters, it is important to keep scenes relevant to the overall story. Despite the comedy to keep the audience entertained all throughout the film, certain parts felt quite dragged. Arguably speaking, this film perhaps overplayed the comedy a bit more in comparison to the first. Of all the Marvel films out so far, it is this one that perhaps felt the most of a cartoon vibe. Overall, this film was a great second instalment and a good follow up from the first. Unfortunately, I didn’t enjoy it as much as the first. As I listen to Awesome Mix Vol.2 more often in my car, I really try to forget the flaws of this film. It is perhaps from another viewing I can like this a little bit more. Nevertheless I still suggest at least one viewing and try to let the good outweigh the bad.